If you don’t have the necessary licence, you can rent a small sailboat or a catamaran where you don’t need a licence. And should you wish to obtain a licence, we’ll advise you where you can take a course and tests at Lipno. 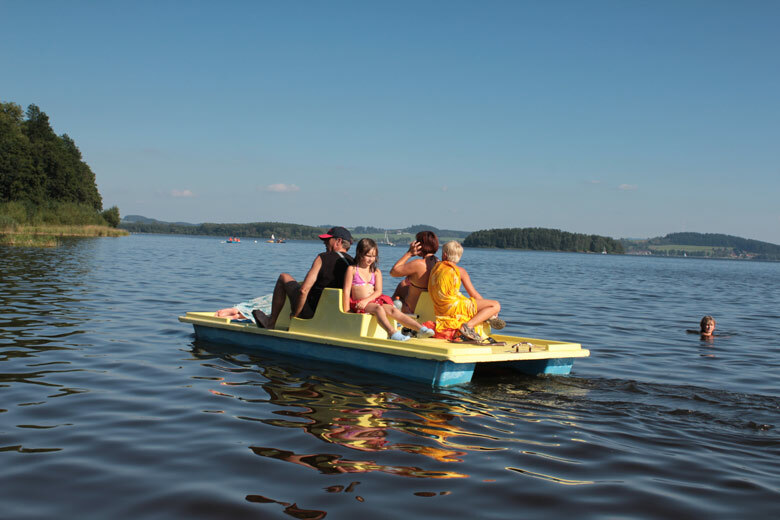 Or, you may be interested in a cruise around the Lipno Lake bysteamer. Or, you can just be sunbathing with your family or friends while riding a foot pedal on Lipno that you can rent in our camp. And perhaps, if you are not yet so much excited about water, there is a grassy as well as sandy beach available in the Jenišov Camp where you can wet your feet just ankle-deep in the water.